Though its name is Indian Summer, this boat is not restricted to warm late-September sailing. This Lagoon 500 built in 2009 is a spacious and versatile boat with 5 cabins, so there's no need to worry about your aunt sleeping on the couch. Take your immediate and not-so-immediate family on a vacation they won't soon forget. Discover the deep blue waters of the Adriatic Sea. Dine in the many fine restaurants scattered along the coast and on nearby islands. Taste the many delicacies Croatia has to offer. Challenge yourself to some deep-sea fishing, or spoil yourself on one of the many secluded beaches this coast is famous for. 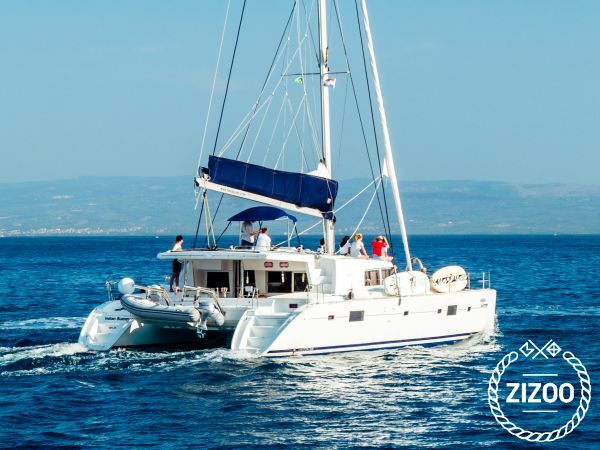 And if you're still not sure where to go or what to do, or if you have questions regarding this catamaran and sailing in general, you are always welcome to contact the friendly crew.